TAIPEI (Taiwan News) -- Rogue waves have claimed six lives over the course of two days on the beaches of northeastern Taiwan's Yilan County as Typhoon Jebi, the strongest storm observed the planet so far this year, churns in the western Pacific Ocean. 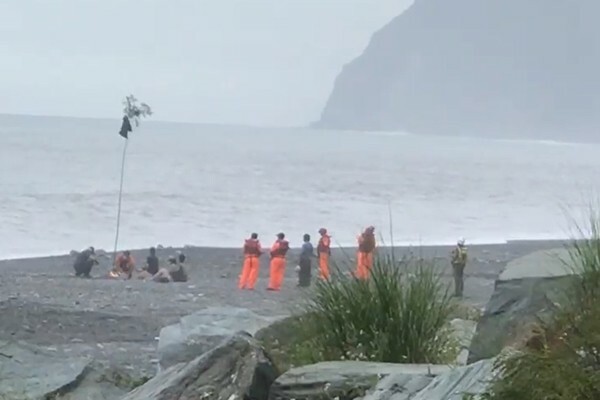 At total of eight people were swept away and six have lost their lives after a series of rogue waves struck on Sunday and Monday at Mystery Beach and Lover's Bay, also known as Neipi Bay in Yilan County. Three separate deadly incidents involving rogue waves were reported in Yilan County's Mystery Beach in Nan'ao and Neipei Beach on Sunday. On Nan'ao's Mystery Beach in Yilan County, a 52-year-old man surnamed Chou and his wife surnamed Liu, 50, were riding an ATV along with the 52-year-old ATV rental owner surnamed Ho, who was riding another ATV. Suddenly, they along with their vehicles were washed out to sea by a rogue wave that was estimated to be over 3 meters in height at 3:06 p.m., reported TVBS. 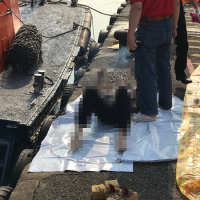 Rescuers said a Coast Guard Administration boat carried a male body to Nansing Inspection Office in Nan'ao at 6:36 p.m., and the body was confirmed to be Chou by his family, the report said. However, Ho is still missing, according to the report. Later that day, also on Mystery Beach, a 40-year-old woman surnamed Wei (魏) and her 10-year-old son surnamed Lee (李) were riding on an ATV with friends when a massive rogue wave suddenly crashed into them and sucked them into the ocean, never to be seen again alive. At 5:41 a.m. yesterday (Sept. 3), search and rescue personnel found the body of Wei about 1.6 nautical miles from Nan'ao's Mystery Beach. Four hours later, not far from the beach, the body of Lee was recovered as well. On Neipi beach in Su'ao, an eight-year-old girl, who was enjoying the beach with her family and friends, was suddenly swept out to sea by a rogue wave and a male passerby surnamed Wu (吳) jumped in the water to try to save her. 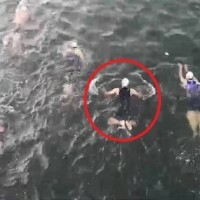 The girl was washed ashore and survived, however, the man drowned, and paramedics were unable to revive him. Another victim lost their life on the county's shores yesterday. 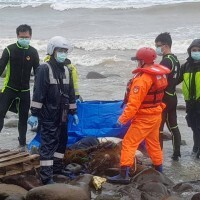 The Yilan County Fire Department received a report on Monday morning around 11:15 a.m. that a middle-aged woman, had been walking along the shore of Yilan’s Suao (蘇澳) township along the Neipi Beach (內埤海灘) and was swept away by a wave. A search and rescue unit responded immediately, however the woman showed no signs of life when brought ashore. According to reports, the search and rescue operation was completed by noon, and the woman was rushed to the nearby Suao Branch of the Taipei Veteran’s Hospital, reports CNA. Apple Daily reports that the woman was pronounced dead at 12:51 by doctors at the hospital. Chia Hsin-hsing (賈新興), a supervisor of Weather Risk, said on his Facebook page that there are four types of situations when rogue waves are likely in the area, including: in the winter when the northeast monsoon is strong, in the summer when the southwest monsoon is strong, when typhoons are churning in the outer ocean, and at high tide during the lunar new year festival period, especially if there are monsoons or typhoons.